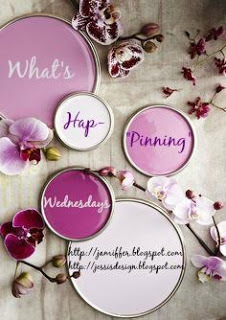 Hey ya'll and happy What's Hap-:Pinning" Wednesday - a series where you link up with Jenn and myself and tell us ANYTHING that's currently interesting you on Pinterest, life, home, fashion....you get it! Anything! Today, as I'm constantly tidying up and picking things up, I'm secretly making a list of things I need (want rather) for the home. I definitely have a central theme but I love constantly adding things or sometimes rearranging things around the house. First on the list is a king size bed. I know, we're functioning adults and still have a small queen. I understand that is totally normal, but every time I visit a friend and stay in their guestroom king bed, I realize how much I love it. I mean, I wake up sideways across the darn thing sometimes! Also, when Andi has her first "I had a nightmare and want to sleep with ya'll" moment wouldn't it be nice to have a tad more room? 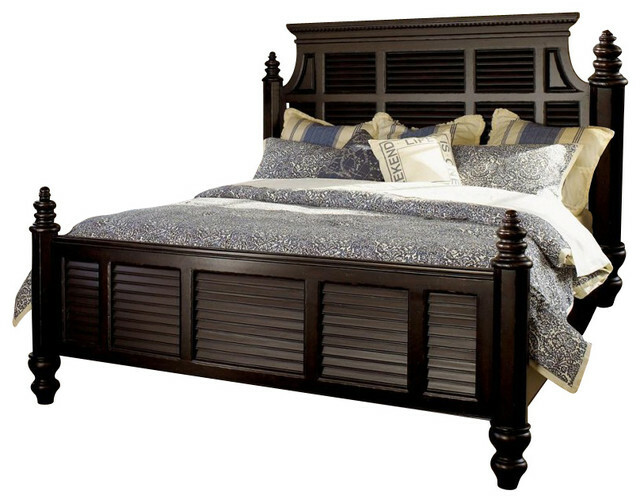 (that's what I'm telling hubby) I"m really attracted to a classic sleigh bed style or this dark Tommy Bahama one that I'm totally obsessed with (not obsessed with the price though). We have a dark color palette in our master so either style would work! I love the upholstered headboards too but our master is just not girly at all. 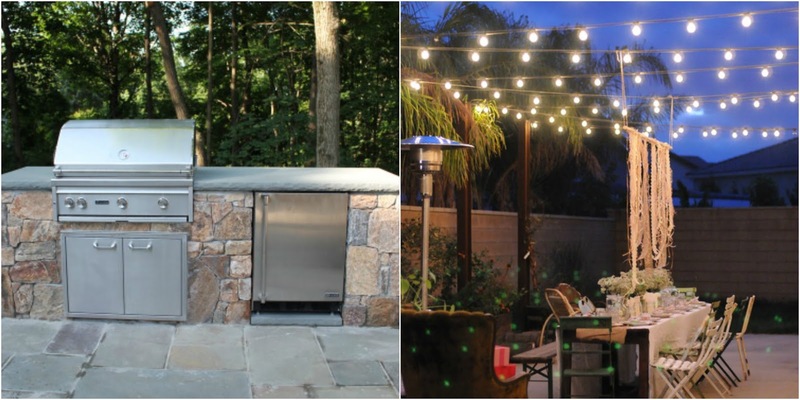 I know hubby can agree with this next one - we want to transform our back patio into a super swanky grilling/hangout space. 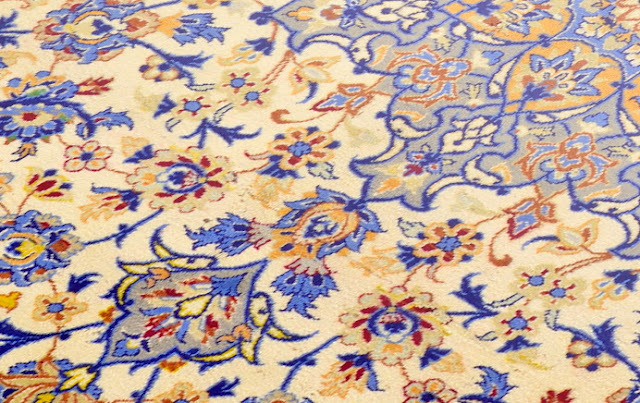 We have friends over a lot and need to spruce up the back! 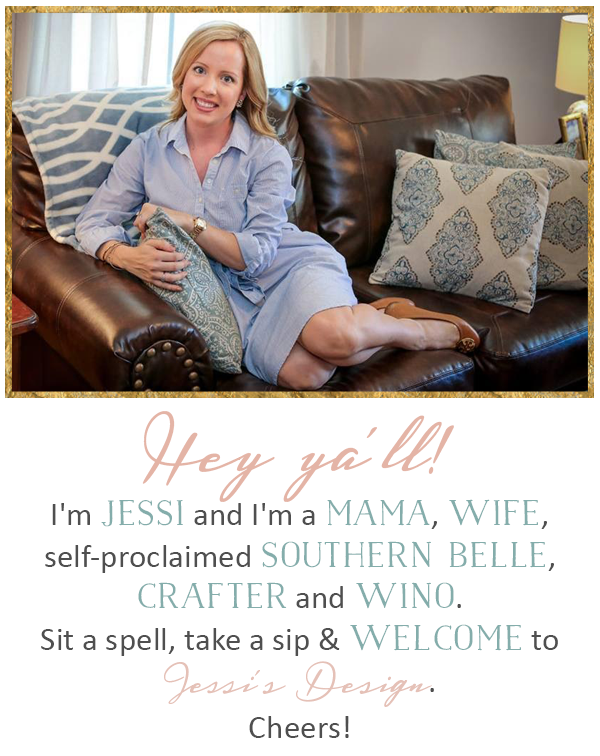 The front porch is our gathering place now since I have tables and tons of wicker rockers! We have a basic table, umbrella and chairs out back but need to figure out what kind of built in grill look we want to go with, etc. I definitely want those cute string bulb lights as well! Lastly, I'd loooove a huge dining room table that could sit like 12 people! We have a table that has 4 matching chairs (supposed to be 6..not sure where the others went) now but we entertain a lot. We also hold our annual huge Christmas party at our place so a bigger table would be fabulous! Now, before I end this post, I'm super thankful and blessed with everything we have so don't get me wrong. These are just things I'm working toward and hey, every girl has a wish list right? I'm also a bargain hunter so let the searching begin! Have a great day ya'll! I LOVE everything you pinned! Especially the gold mirror - give me all the gold! So many pretty things!!! That rug is just gorgeous and I LOVE a good sleigh bed. Love so many of these! We are thinking about doing the string lights over our back deck for entertaining, too. We have a king sized bed in our guest room but have a queen in our master since our bedroom set it for a queen bed. I want a tufted headboard so bad, but I know if the rest of your decor doesnt' go, it won't work. I love sleigh beds, they are so pretty. That dining room table is so fab. A king size bed is totally necessary! And I love the sleigh style. And lately Costco has had beautiful outdoor string lights! They were a game changer for our back deck. I definitely have lots of things I want to change to our house too! I think that's normal and part of making it a home. Love that sleigh bed and I am dying to spruce up our back patio too - love the lights! Love that 2nd king bed!! They really make a huge difference!! We were on a tiny full until we moved into the house and I literally never got a full night sleep (when we were first married I almost moved to the floor in the middle of the night multiple times lol) and now I can get a full night sleep without touching Stephen lol! Love all your other ideas especially that dining room table - gorgeous!! 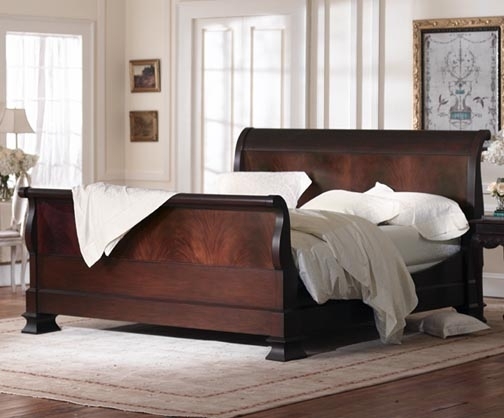 I love the look of luxury of a sleigh bed! 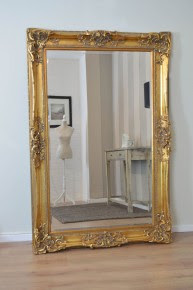 I also am dying to get a full length mirror and that gold framed one is just gorgeous! Oh my gosh can I hang out in your outdoor area when you guys re-do it?! We've been in our house for about two years now and recently I've been finding myself making the same list! Love that rug! I would absolutely love a 12 seat dining table too! 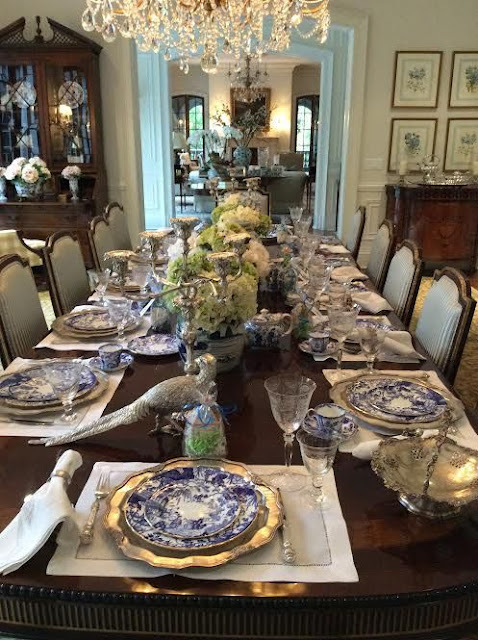 We only have room for a table for 4 right now but in our next house I dream about having huge dinner gatherings!